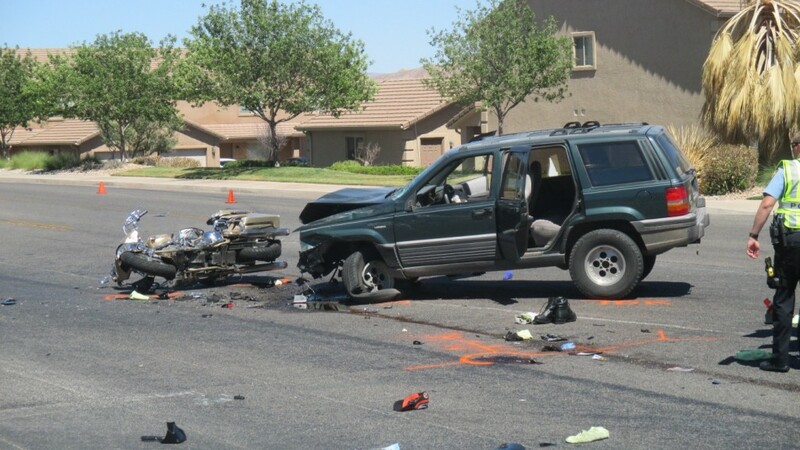 ST. GEORGE – Three motorcyclists were involved in a head-on collision with a Jeep Cherokee Saturday afternoon on Riverside Drive, resulting in two of the motorcyclists being transported to Dixie Regional Medical Center. 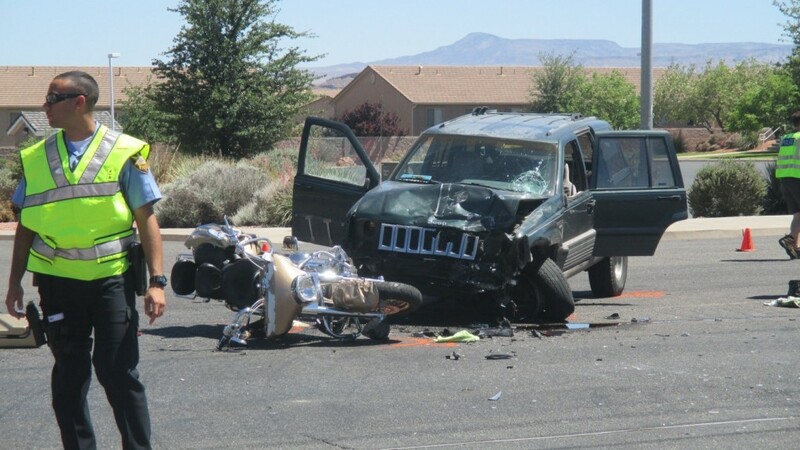 “We’re still looking into the circumstances under which the Jeep ended up in the wrong lane,” St. George Police Capt. Michael Giles said. The motorcycles were headed west on Riverside Drive, approaching 2450 East. A white Ford Ranger was in the center turning lane facing the opposite direction, Giles said, and the Cherokee was behind that vehicle when it somehow entered into the oncoming travel lane and struck at least two of the motorcycles. 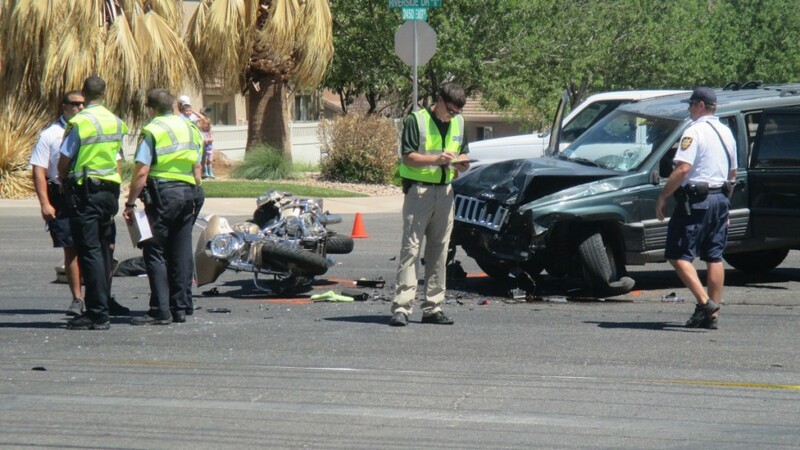 One of the motorcyclists sustained serious head trauma and was transported to Dixie Regional Medical Center. “We’re waiting for an update on his status,” Giles said. 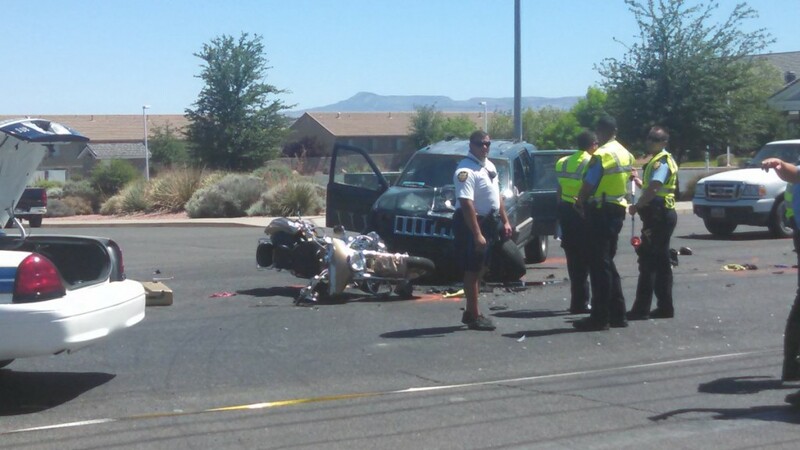 The other motorcyclist struck by the Jeep was knocked off his motorcycle, and he was also transported. He was alert and talking but was taken to DRMC “for precautionary reasons,” Giles said. 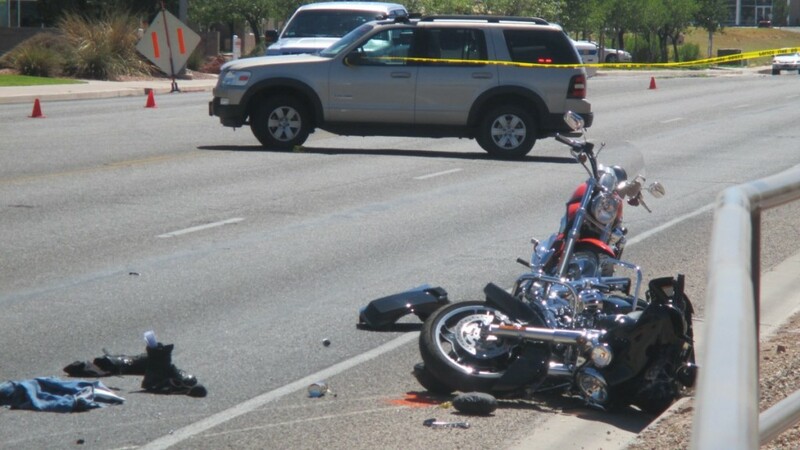 The third motorcyclist initially remained on scene to speak with investigators. “He’s now at DRMC as well, potentially being evaluated,” Giles said. The driver of the Jeep was apparently unharmed and also remained on scene to talk with investigators. As of publication time, no citations had been issued. The accident is currently under investigation.